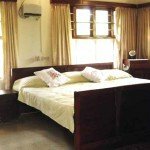 Neeralathil Homestay is a homestay in the beautiful village of Kappumthala in Kottayam District where you can enjoy the warmth of staying with a family along. The host Mrs. Molly Joseph is an educated housewife who holds First Aid and Hospitality certificates and her husband Mr. C.C. Joseph, is a planter. They have a boy called Dennis. International Airport – 50 km. Paddy fields, vegetables cultivated fields, rubber estates, Cocoa, Vanilla, Pineapple, pepper and oil palm plantations etc. Vaikom Vembanadu lake is located very near and boating through the lake, rivers and canals is an exciting activity. 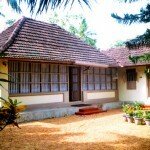 Conveyance can be arranged to all Tourist destinations in and around Kottayam. Facilities to arrange cultural activities on request. Ayurveda and Kalari Marma treatment and courses may be arranged on demand. Visits to Mountains, variety of Hill sites, Tea and rubber plantations, Elephant rides and trekking maybe provide on request.